struggled with the start of the season having problems with the bike in the first two races of the season finishing in 10th and 9th. After the first two rounds I made huge improvements Finishing the rest of the season in the top 4 and one 3rd and a 2nd and setting the lap record at Killarney. Due to international duties I could not finish the whole season and missed 2 races. 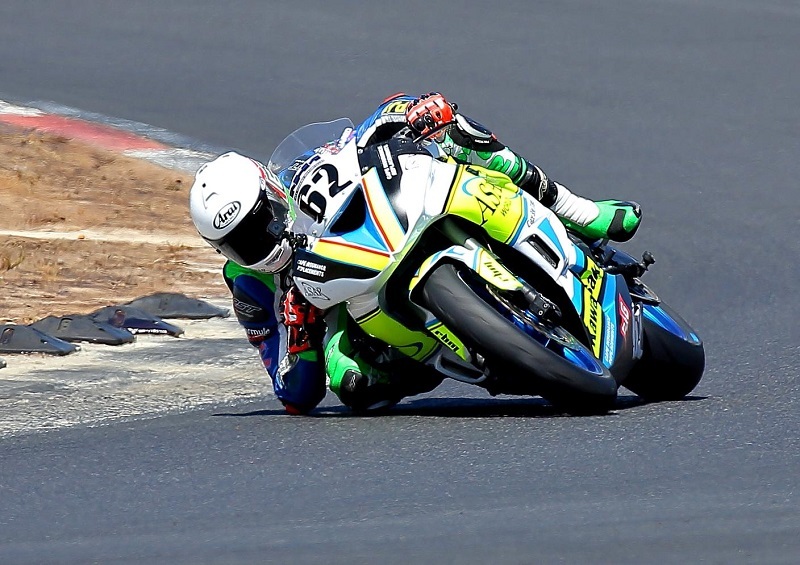 I competed in Killarney Power Series on my ZX6R Due to international duties I missed 2 races and missed the championship by 20 points Taking numerous victories in the class and podium most of the races. Finished the season 2nd in class B and 4th in the 600cc class in my rookie year. Biography: Date of Birth: 28 March 2000 I started riding a motocross bike at the age of 3 with my family just for the fun of it and never had any intentions to race. At the age of 10 I stopped riding to continue with other sports, cricket and soccer. I got back on a motorbike again in 2014 when my dad started racing and asked my brother and I if we would like to join him. I started racing a Honda CBR 150 at Killarney on the short circuit.